If you are in Asheville please stop in at the Woolworth Walk and see my mixed metal and found object work. I'm making lots of great earrings and pendants for the upcoming holiday season. These pieces are playful but polished. 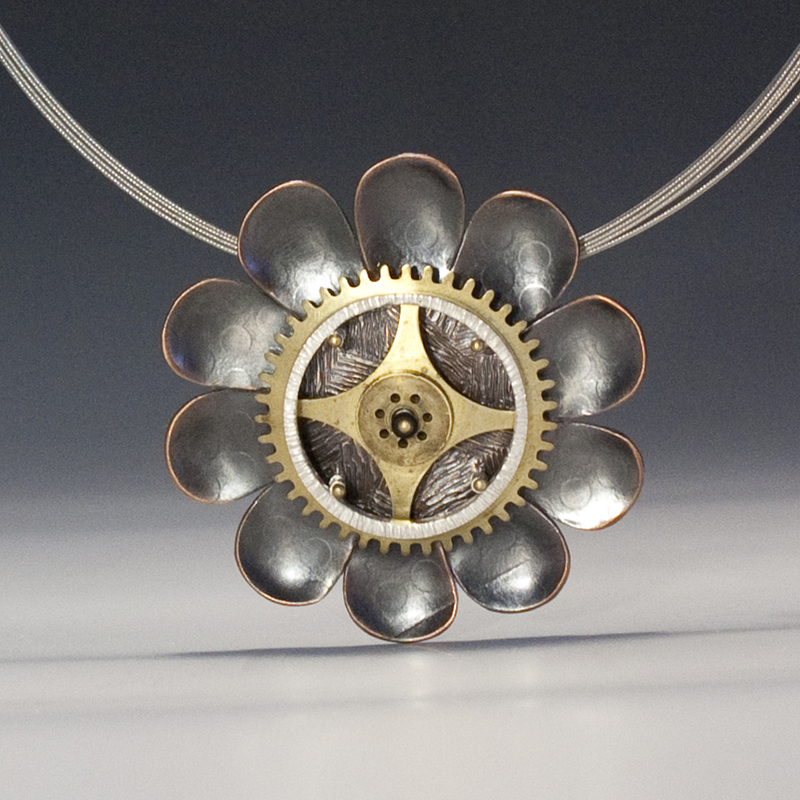 This pendant includes an authentic clock gear just for fun!